Eczema is a painful condition that results in patches of red, itchy, inflamed, cracked, and rough skin. At its worst, blisters can also occur. Eczema sufferers are often desperate to find relief – but over the counter creams offer limited relief – and prescription drugs have dangerous side effects. And both drugs and drug-store creams typically only treat the symptoms – and do not address the underlying cause of the eczema – so the eczema never really goes away. However, there is a 100% natural substance – called Fulvic Acid – that treats the underlying causes of the eczema, not just the symptoms. Fulvic acid works on a cellular level through rapid penetration and hydration to restore health to your skin. Eczema refers to a range of different inflammatory skin conditions, including: Atopic eczema, contact dermatitis, xerotic eczema, and seborrheic dermatitis. The causes of eczema are complicated and not completely understood. However, it is generally believed that Eczema is a result of conditions that adversely affect the skin’s barrier function including genetic factors and nutrient deficiencies. While many environmental factors can trigger eczema (such as nuts, dairy, smoke and pollen), if the skin does not have the proper nutrients, it is not able to “combat” the inflammation that results from these triggers. It is not surprising that a nutritional deficiency is at the root of such a widespread disease. According to The National Science Foundation, humans require at least 60 minerals and 12 essential amino acids for optimal health. However, the average US farm is 85% depleted in minerals & amino acids. And some US farms are actually 100% depleted as a result of the extended use of fertilizers and “maximum yield”. Minerals make up four percent of the body’s weight. They are found within the body’s fluids and tissues, where they work in conjunction with vitamins, enzymes, hormones, and other substances, in the body’s many biological functions. When these essential minerals are not present the body cannot function properly. For example, manganese deficiency produces scaly dermatitis, while severe zinc and magnesium deficiency may produce skin lesions. Nature’s Fulvic™ Healing Cream contains the “miracle molecule” of Fulvic acid – and is comprised of over 70 plant derived bio-available minerals. These plant source minerals are less than 0.00001 micron in size – so they can easily pass through cell membranes supplying minerals, oxygen, amino acids and the enzymes necessary for the body and skin to function properly. Additionally, Fulvic acid keeps the blood and intercellular fluid in an alkaline state. Fulvic acids actually moves the body from an anaerobic “acid” environment (which causes inflammation, fermenting, molds and fungus) to an alkaline environment that is high in oxygen. This process not only reduces microbes, but also accelerates the delivery of nutrients to cells. By moving the body – and skin – from an acid state to an alkaline state, inflammation is reduced. So, while over-the-counter drugs treat the symptoms of inflammation, Fulvic acid addresses the cause of the inflammation. 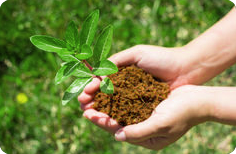 Fulvic acid is derived from Humate deposits in the soil that were formed by millions of years of rich plant decomposition. Our Fulvic acid is derived from the nutrient rich clay-based Humate in the mountains of Utah. With more than forty years of research on the benefits of Fulvic acid, we maintain the highest manufacturing standards, ensuring quality and product purity in every jar of Nature’s Fulvic Healing Cream. Nature’s Fulvic Healing Cream not only soothes and moisturizes red, sore, flaking and itchy skin – it also heals, repairs and treats the underlying root causes of the inflammation. And because it is 100% natural Organic Plant Source, there are no side effects. CLICK HERE to Order Nature’s Fulvic Acid Healing Cream for Eczema Relief!